This week we’re getting bees. 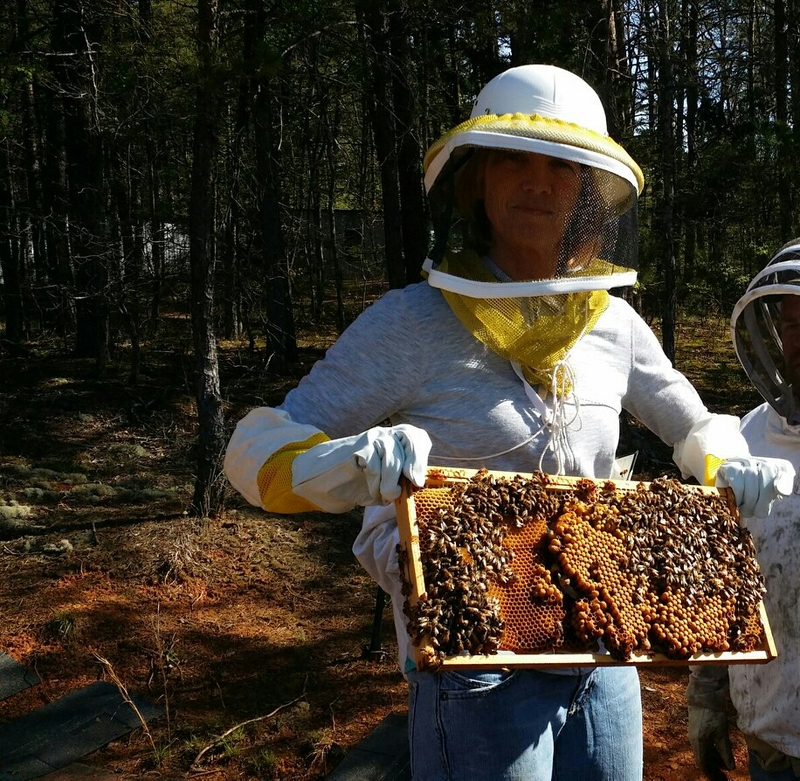 My in-laws have had several beehives for the last few years, and the more I’ve learned about them, the more fascinating they seem. I still can’t quite believe that this girl, who was raised in suburban Florida, plants and keeps a garden every year, cans things from the garden, is getting bees, and wants chickens at some point in life. I’ve learned to make a lot of things that you can find in the grocery – homemade pastas, croissants, stocks and bouillon cubes, jams, almond milk – things when I was in college I’d never think would be exciting to me to learn to make. I don’t ever want to stop learning. Whether I read about something in a book or figure out how to do it in the real world, learning keeps us young. What’s interesting is that when we’re young and “forced” to learn in school, much of the time, we fight it (unless you’re kind of a nerd like me, although, I really didn’t care for learning about moles in chemistry…). But when we mature, we actually enjoy learning. It’s a challenge that we can rise to meet. And it’s kind of a fun thing, now that it’s not forced. What have you learned lately? If you’re addicted to cheese, here’s why…. Are you deficient in magnesium? Or protein? I am definitely a Type A – are you? These health(ier) magic cookie bars look amazing! Making these a.s.a.p.